This movie made its way through the awards circuit, so I’d heard about it while not hearing much of what it was about. It came across as a gritty but quirky family/small town drama. Not only was it that, it was much more––very much more. 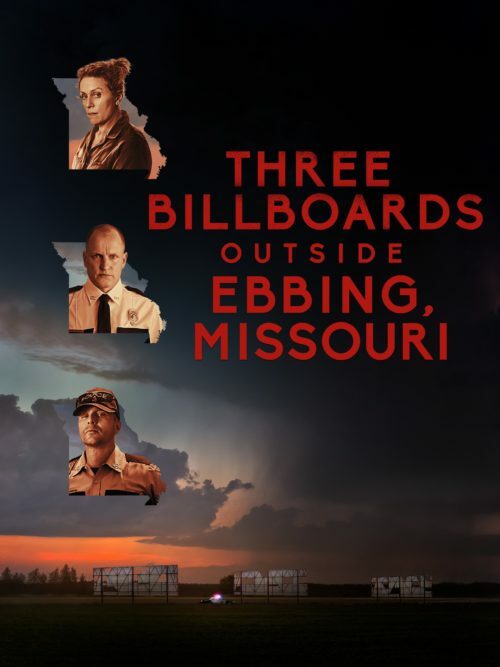 Although the superficial signs don’t necessarily line up with the expectations of the genre, Three Billboards… is one of the best Westerns I’ve seen. A lot of fundamental tropes of plot run through this movie but its execution (with direction and acting) and subversion of expectations weave together to create a slightly surreal but wholly resonant and harrowing experience. The characters in this movie are hitting very low lows and the melodramatic reactions to the varied and surprising situations are what, to me, firmly plant it in the Western camp. To that end, I found a lot of inspiration in this movie as it ties to what I’m trying to do with Long John. I don’t mean aspects of the film are going to find their way into the comic, but watching the movie had such an energizing effect on me––you can do something wild and new with Westerns!––that it got me antsy to get to work on not only making the comic, but to push myself even harder with what I can do with the story being told. This movie not only held my interest while watching it, it kept me thinking about it––and its thematic beats––for weeks (yeah, I watched it awhile ago). 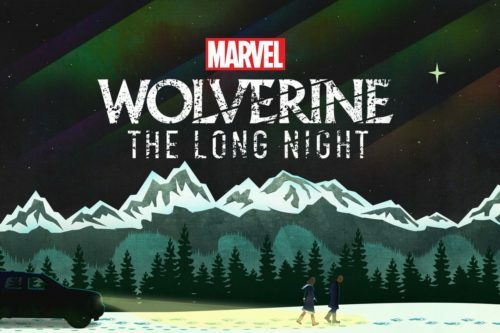 Wolverine: The Long Night – an audio drama serial podcast. At the end of the last Con Artists episode, Kyrun Silva (of Taurus Comics) asked me a question that could be, with some people, controversial: is Wolverine over-powered and overrated? He asked this after confirming that––despite the wisdom of time and hindsight––Logan (aka Wolverine) is probably my favorite character in comics; even then, I answered yes to both. Logan works best as a foil for other characters and stories. He is a spitfire defined by his fury in a fight and his aloofness among his friends. Luckily, that’s what Wolverine: The Long Night gets so very right. Produced in collaboration between the podcast streaming website, Stitcher, and Marvel Comics, this 10-part serialized drama was released in full initially on Stitcher’s premium service, to be rolled out to regular podcast aggregators once the series had completed its run. The show rolled into wide release in September, but I missed that completely (despite being relatively plugged into “the scene”) because its wide release was not advertised at all. It was only when I heard that Marvel announced it would be making a comic book adaptation of the podcast that I decided to search for it on my podcast device only to see five episodes had already been released. Ashamed, I downloaded them immediately. This podcast is about Logan but it is not his story; he’s not even the main character. The setup is a murder mystery, with two FBI agents being sent to Alaska to investigate the murder of a crab boat crew that occurred on the ocean, making it a federal crime. That incident––the crew were cut to ribbons––alongside some local deaths ruled to be bear attacks have things adding up to a very suspicious sum for the agents. Being in a small town that is also home to a strange doomsday cult, things weren’t helped when a small, gruff, unpleasant, and private man named Logan strolled into town. However, strange stories are circulating about his behavior and his past which only add to the mystery and suspicion surrounding these murders. Written by novelist Benjamin Percy, the dialogue is sharp and natural and the acting is gorgeous. The biggest name of the cast is probably the actor performing Logan, British actor Richard Armitage who had a starring role as leader of the dwarves in the recent The Hobbit movies. On top of that, the story is very grounded with no superheroics or truly absurd comic bookiness at all. It plays like a crime drama, which is what it is. It’s a story focusing around how money and power flow through this small Alaskan town where people keep to themselves and just let the things that don’t affect or involve them continue to do so. It just also happens have a character with knives in his hands on the run from clandestine experimental Canadian governmental programs. But that’s the B-plot, and that’s okay. This is one of the few pieces of comic book media I can wholly recommend to non-comic fans and I am pretty sure they will enjoy the ride. Again, I’m only halfway through it, but unless the bottom drops out it seems to be a solid piece of crime drama with everybody’s favorite pointy-haired jerkwad at the center of it.